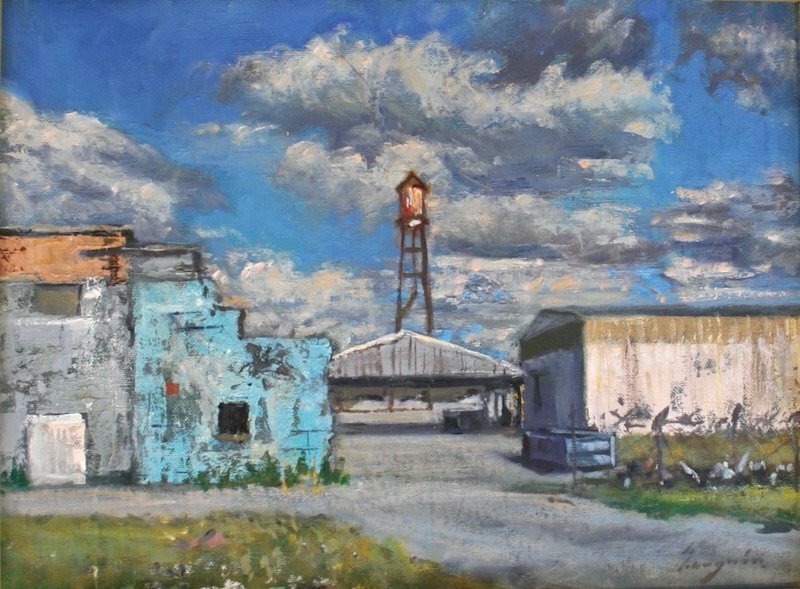 Diego Larguia’s oil painting of riverfront warehouses in Holy Cross. The couple visited the Global Green Project and found a converted shotgun on Dauphine Street that had been vacant since Hurricane Katrina. “The sign had fallen and we could walk right in, but it had good bones,” he said. Kathy Muse and Warrenetta Banks, who worked at the Lower Ninth Ward Center for Sustainable Engagement and Development, were thrilled Diego and Kelly were moving into the neighborhood and assigned groups of volunteers to assist with gutting and other unskilled labor. Finally, they were able to rent out the Irish Channel house and move full-time to Holy Cross where they bicycle and enjoy their proximity to the river. Originally from Buenos Aires, Diego studied art in Florida and later at the New Orleans Academy of Fine Arts under Don Anderson, Jerome Weinberger and Phil Sandusky. 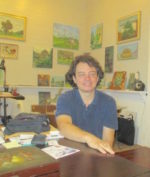 Diego now teaches oil painting at the Academy where he has received numerous awards. Diego Larguia relaxes in his Holy Cross studio. 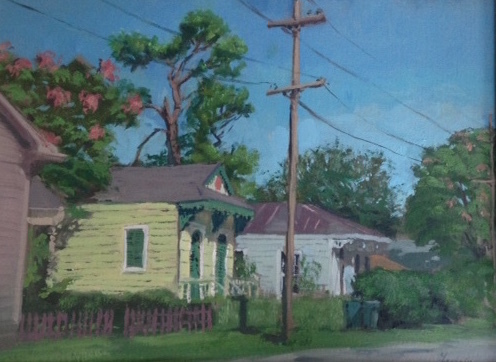 The majority of his subjects are landscapes, including scenes from the Lower Ninth Ward and Arabi. Inspired by masters such as Sorolla, Sargent and Monet, his objective is to capture that specific point in time and place while communicating his own perspective. Diego’s work is included in an exhibition through November 2016 at Gallery 600 Julia.